When something looks extremely mundane, you would have to sit down and ask yourself – is there something else that you could have done to spruce stuff up a whole lot more? 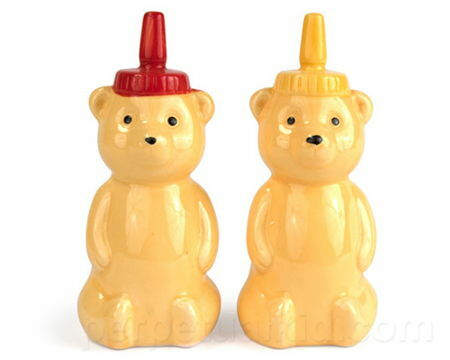 After all, I am a strong believer that there is beauty in the ordinary, and with the humble salt and pepper shakers at the dining table, you might want to spice things up with the $11.99 Honey Bears Salt & Pepper Shakers. After all, everyone loves a honey bear (Winnie the Pooh comes into mind here), so here are a ocouple of them for you to fall heads over heels in love with. Not only do their heighten the taste of your food, it also helps make ambiance in the kitchen a far more fun place to be at.